I’m far better at keeping doors closed than I used to be. When I was younger every scab was picked, every skein was unravelled, every grenade unpinned. Now I convince myself that I am untouchable, invincible, impossible to penetrate, disinterested in matters of the heart. I am Cleopatra, Joan of Arc and Marie Curie all rolled into one. Mentally if not physically. I have yearnings, yes, but they are subjugated to my higher self. This higher un-Pennyish self rides on a plain of self-sufficiency, uncluttered by emotional needs. 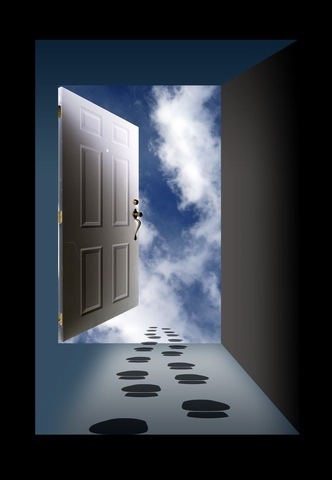 The problem arises when the door is opened. First, just a little crack. Hold the handle, softly and slowly push it down and then, very slowly, gently, ease it open. A glimmer of light shows through, gently push the door closed again, listen for the click that let’s you know all is safe. Then continue as before. But you feel restless. Something is calling, something wants to pull you out if the stupor. You refuse. You say, I am fine this way. Behind the closed door. But you do not exist in a vacuum. Others prod and poke at you. Someone else opens the door. I am living behind this door, happy in my bubble of constructed purpose. A head peers around the door. I should tell it to leave. But I don’t.